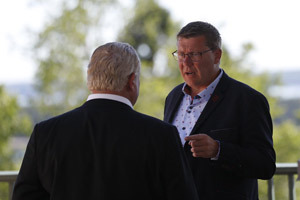 During today’s meeting, Canada’s Premiers discussed a report prepared by the Conference Board of Canada entitled, A Difficult Road Ahead: Canada’s Economic and Fiscal Prospects. The report confirms that the growing fiscal disparity between the federal government and provincial-territorial governments will have significant effects on the ability of provinces and territories to deliver quality public services. 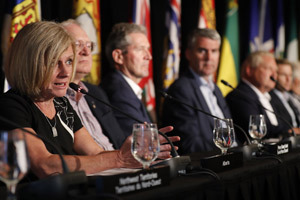 Under all scenarios examined by the Conference Board, the federal government continues to record growing budgetary surpluses while provincial-territorial governments will face increasing challenges to achieve fiscal balance while providing essential programs and services to Canadians. 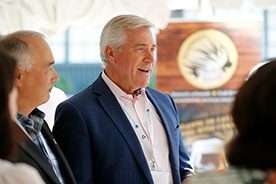 Provinces and territories continue to undertake initiatives to manage program spending and grow the economy. 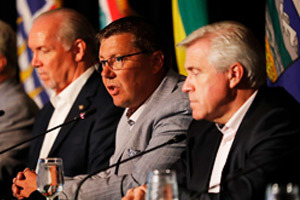 Premiers agreed that fiscal arrangements must be re-examined to ensure that they reflect current realities and support economic development so that all governments can provide the services for which they are responsible in a fiscally sustainable manner. 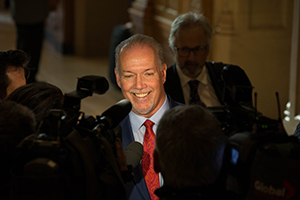 Premiers agreed to continue work on the modernization of fiscal arrangements and encouraged the Prime Minister to work with them on this important priority. The Conference Board of Canada is an independent, evidence-based, not-for-profit applied research organization. Three spending scenarios were analyzed by the Board, they were: the Status Quo Scenario, the Low Health Scenario, and the What’s Possible Scenario. Please go to the Conference Board of Canada’s website at: http://www.conferenceboard.ca/ to view the full report.